As far as the iPhone 3GS is quite old device and doesn’t support new version of Viber by default, you still may download and install the tool on this specific version of iOS system. Here’s a step-by-step instruction what should you do and what iterations you need to walkthrough in order to set up Viber VoIP-messenger on iPhone 3GS. For installing the Viber you will need the jailbreak for your iPhone, the iFunbox utility and the installation file of Viber app (old version – 2.2.0 ipa), which you may download right here. As the owners of iPhone 3 are aware, nowadays you may install only the earlier versions of the applications because of the new iOS requirements. installing the “Viber_Free_Phone_Calls_Text_v2.2.0.ipa” file, which you may download on the mentioned earlier link for free. 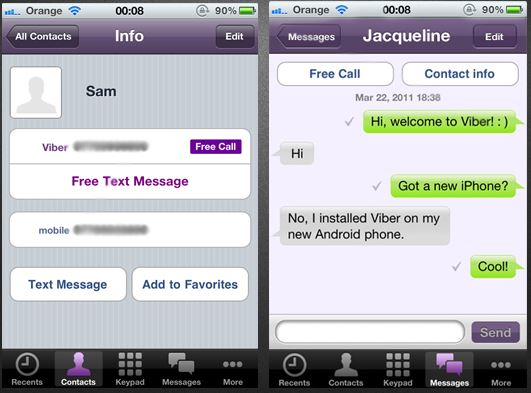 We checked that on iPhone 3GS with 4.2.1 version of firmware Viber was installed without any problems. The speed of operations is quite high, so you won’t feel any discomfort or lags during the work. This method, how to install Viber on iPhone 3GS, is thoroughly checked, and we may say, that it works for sure. You may also find the appropriate version of iFunbox app on the Play Market store.